This is one of my favourite products!! 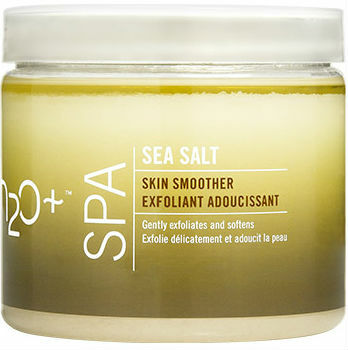 It combines massage oil with sea salt as scrub!! But since the salt is kind of rough, you can't scrub it fast!! You must scrub your skin s..l..o..w..l..y.. The scent is just awesome!! After a day at work, everyone feels tired!! Try massaging the sea salt mixture onto your skin, the unique scent totally takes your tiredness away and you'll definitely have a good sleep! !